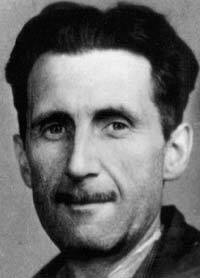 George Orwell was an English novelist who also worked in journalism. Using a pen name rather than his real name of Eric Arthur Blair, he created several classics of 20th century English literature. His two most famous works are the 1945 Animal Farm, an allegorical tale of an animal revolt, and Nineteen Eighty-Four, a dystopian vision of a war-torn and totalitarian future Britain. He also served in the Spanish Civil War, writing a celebrated account of his time fighting against Franco’s fascist forces. Orwell was born in the Indian state of Bengal, but was sent to Eton to be educated. In his late teens, he went to Burma to serve in the Indian Imperial Police. This time made him increasingly disillusioned with the British Empire, and he resigned after five years. Moving to France, his trials as a hard-up writer helped to inspire his first book, 1933’s Down and Out in Paris and London. Several novels followed, with 1936’s Keep the Aspidistra Flying being remembered today. In 1936, Victor Gollancz commissioned Orwell to write about unemployment in northern England. The resulting work, The Road to Wigan Pier, was quickly accepted as a classic of literary journalism. Orwell was by now firmly socialist in his beliefs, although he had little time for classical Marxism. He believed that the greatest evils in politics were cynicism, dishonesty, and the abuse of power. It was in this spirit that he decided to travel to Spain in late 1936 to report on its Civil War. Although going as a journalist, Orwell became convinced of the rightness of the Republican cause and enlisted in the army of resistance. By 1937, he was on the front line at Aragón, as well as being present for the May Riots in Barcelona. He was wounded in the neck by a sniper early that summer, an injury which left him partially paralyzed. During his recuperation, he was told that his Workers Party had been outlawed by the communists, leaving him in mortal danger. The British Consul’s help was enlisted in facilitating Orwell’s escape to France. Orwell’s time in Spain became the subject of 1938’s Homage to Catalonia, in which he castigated both right and left-wing papers for their propaganda. The book was a commercial failure, selling a mere 1500 copies in more than a decade and only establishing itself as a classic after Orwell’s death. During World War Two, Orwell worked for the BBC and a British newspaper, The Observer, before joining the left-wing Tribune in 1943. He adopted a strong campaigning stance in his columns for Tribune, his clear style making him ideally suited for the job. Orwell’s Animal Farm satirized the Russian Revolution. Victor Gollancz turned the book down, allegedly because he disliked its attack on elements of communism. Penguin took it on, and it became a bestseller. By the late 1940s, Orwell was increasingly ill and unhappy with what he saw as the lack of radicalism in Clement Attlee’s Labour government. His last novel, Nineteen Eighty-Four, was published in 1949 and became a staple of dystopian culture, with terms such as “doublethink” and “Thought Police” being widely adopted. Orwell died in 1950, having suffered from tuberculosis.